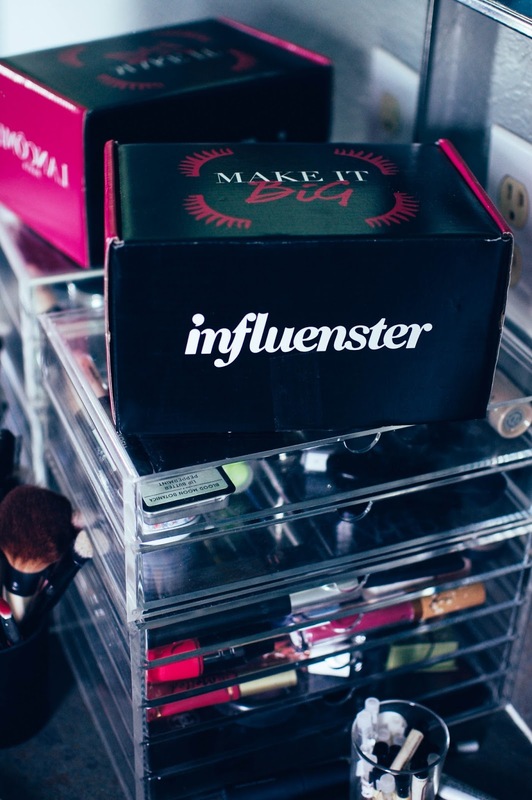 These Lancome beauty products were provided free for testing from Influenster. Another Lancome box arrived from Influenster recently, this time instead of skin care it held mascara, Lancome's newest Monsieur Big Mascara. A travel size of Lancome's Bi-Facil eye make up remover and a small size of Lancome's Cils Booster XL enhancing mascara base arrived in the box as well. 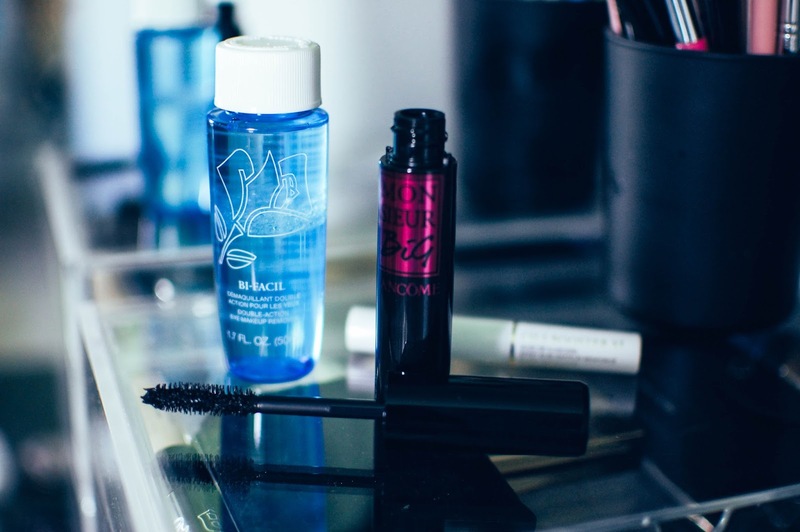 Lancome's Bi-Facil eye make up remover is one of my go-to formulas. I enjoy how efficient it removes mascara and eyeliner, with very minimal friction involved, and no stinging or super oily residue left behind. However, I cannot say that I enjoy the Lancome Cils Booster mascara primer. I find it to be too finicky and not really worth the extra step for my personal mascara needs. It takes too much effort to cover up all the white it leaves behind. I prefer to be pretty minimal when I apply mascara. Monsiuer Big features wavy bristles and reservoirs within the brush shape to hold and distribute the new formula which features longwearing polymers and volumizing waxes. A full tube runs $25 on the Lancome website. I enjoy the results I get from this mascara. The wand is a nice size, not so big that the mascara gets all over my eye lids and not too wimpy. The formula gives amazing length as well as some volume. Two coats were plenty. It didn't flake, run or smudge even through a jog in a late summer thunderstorm. I will happily use this mascara up and even repurchase it when it runs out. 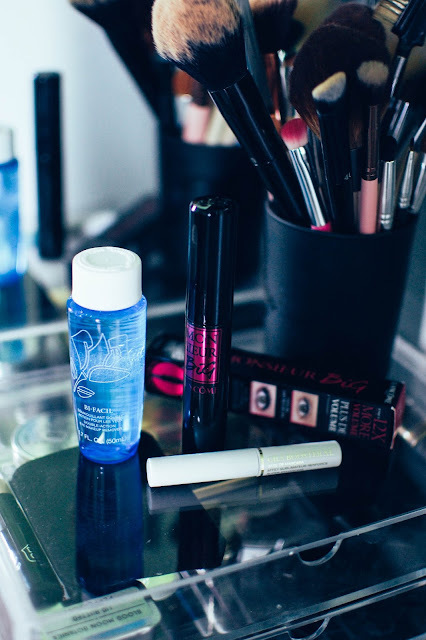 Do you have any Lancome favorites? Enjoying a particular mascara lately? Sounds like a good mascara. You look beautiful! The lip and nail color compliment you so well. Thank you! It is a good mascara for my needs. Of course mascara is one of those strange birds of make up where YMMV but I ended up loving it. Thank you, Sandra! I finally gave my nails a chance to grow a little bit again.